Get in touch with our 24/7 customer care operators for a quick and totally free offer for our end of tenancy cleaning service. To make sure that no money is withheld for cleaning costs by your property owner, book our professional and quality guaranteed end of tenancy cleaning service right away! Excellent Carpet Cleaning is a professional post tenancy cleaning company which has effectively provided the people and organizations of New Cross SE14 ever since 2004. Through the years, we have dedicated in offering expert move in and out cleaning services for everyone local residents. This service is useful for: renters, agencies, property owners and for people who are buying or selling a property - commercial or private. We have created a full end of tenancy cleaning checklist which is firmly followed by each of our cleaners. This register has been approved by a wide range of local landlords, property managers and estate companies as what they actually expect from the cleaning at the finish of your tenancy contract, in order that they usually do not hold back part or all of your lease deposit for further cleaning charges. 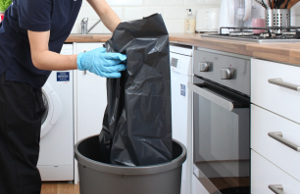 We certainly have hand-picked every one of our cleaners, background checked out them for police records and have trained them to work with all of our contemporary professional cleaning equipment, tools and Prochem certified treatments. All the end of tenancy cleaning consumers receive a 48 hour guarantee, so if there is a complaint, we will return and clean the house for a second time free of charge! A team of skilled cleaners will arrive at your property or home after you have moved out your belongings, and will start cleaning any room from top to bottom in compliance to our pre-approved tenancy cleaning register. There is no time frame for this service, so our crew of cleaning operators will remain until every single deep cleaning task has been finished and checked out the cleaning checklist. They have all the machines, tools and cleaning alternatives required to offer a top quality one off cleaning service. We provide a forty eight client satisfaction assure for this specific cleaning service, so in case you are a property owner or property manager and you have a complaint, we will come back and re-clean the property or home for free! The 24/7 client care service is right here to take your calls at 020 3404 0500 or your online booking requests from here. You will obtain composed affirmation within the next Two hrs. Our costs are fixed, so we will not ask for any sort of hidden fees at the end of the service. For anyone who is not pleased with the final results within 48 hrs, we will return and re-clean your property or home totally free! By booking over 1 of our services at a time, you will get large cost discount rates. We are accessible for same day cleaning, along with for every other day of the 12 months. Make certain you take advantage of our assured professional tenancy cleaning by reservation our service now!